White square scarf with red border. 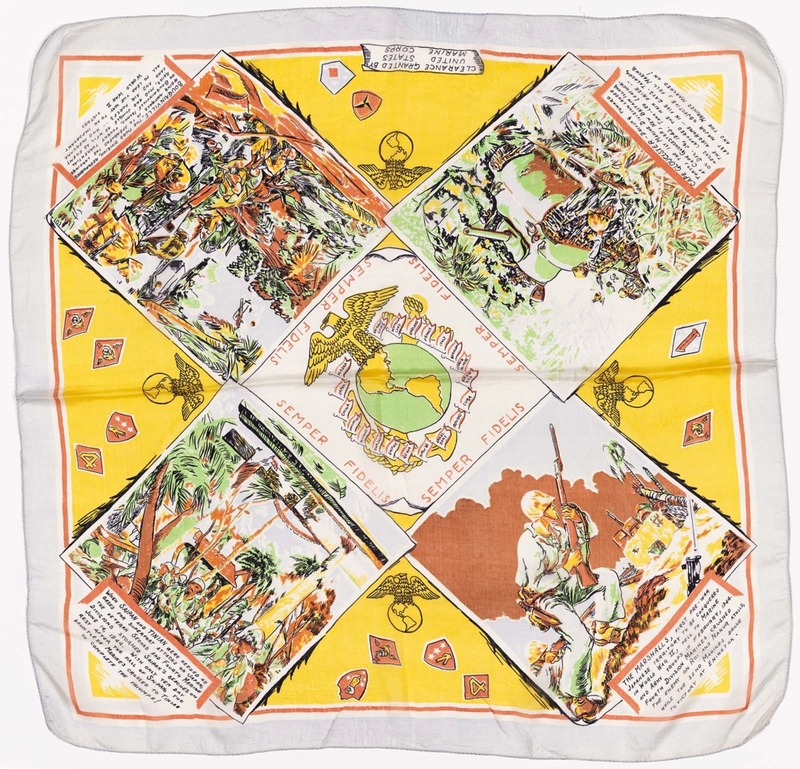 Five square-shaped sections make an “X” formation on the scarf. Each of the four side sections has a battle scene with accompanying text underneath. Center square section has an eagle sitting atop a globe with the words “SEMPER FIDELIS” around the border. Each square section is separated by yellow triangle sections with red symbols.